Mattie Jane Choate was born September 3, 1933 in Bassett, Texas and went to her Heavenly Home on Saturday, April 13, 2019 in Shepherd, Texas at the age of 85. She was a long time cafeteria worker at the Sam Rayburn High School and also the Pasadena School District. Mattie Jane was preceded in death by her parents, Claude and Jewell Barnett; children, Gary Leon Choate, Laura Elizabeth Choate and Guy Walton Choate; brother, Henry Lee Tidwell; sisters, Bertha Mae Suggitt, Donnie Gay McGinty and Birdie Lou Kirkwood. 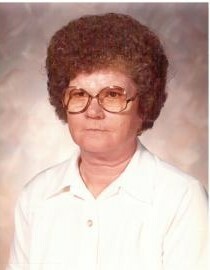 She is survived by her beloved children; Alvin Leroy Dean and wife Carrie, Louis David Choate, Charlie Jackson Choate and wife Hattie, Geraldine Lowe and husband Norman, Samuel Allen Choate and wife Stella; sister, Mollie Sue Mitchell; 18 grandchildren, 23 great grandchildren and 10 great-great grandchildren. A Memorial Service to celebrate the life of Mattie Jane Choate is scheduled for Saturday, April 27, 2019 in the Neal Funeral Home Chapel at 10am. There's still time to send flowers to the Memorial Service at the Neal Funeral Home at 10:00 AM on April 27, 2019.